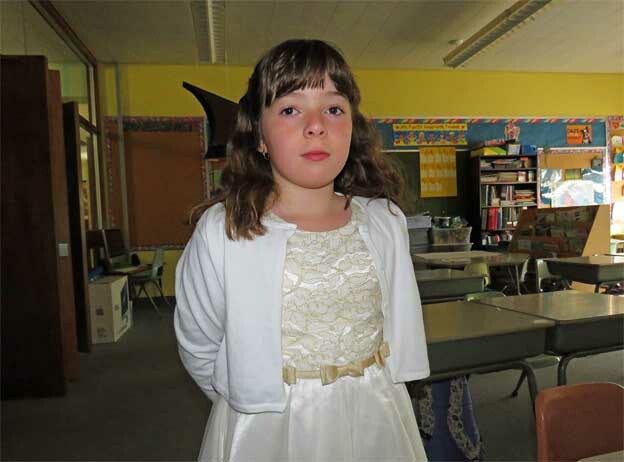 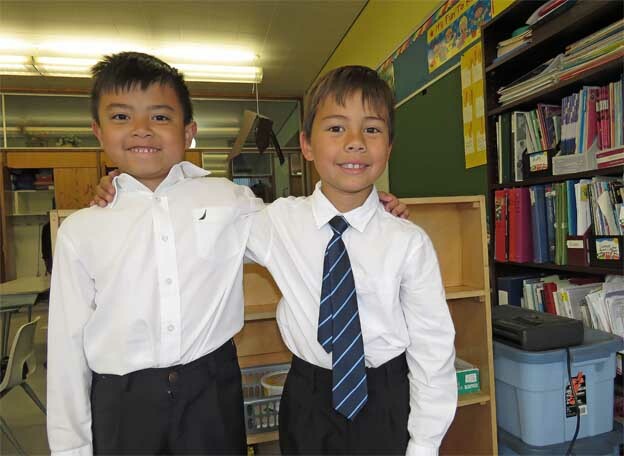 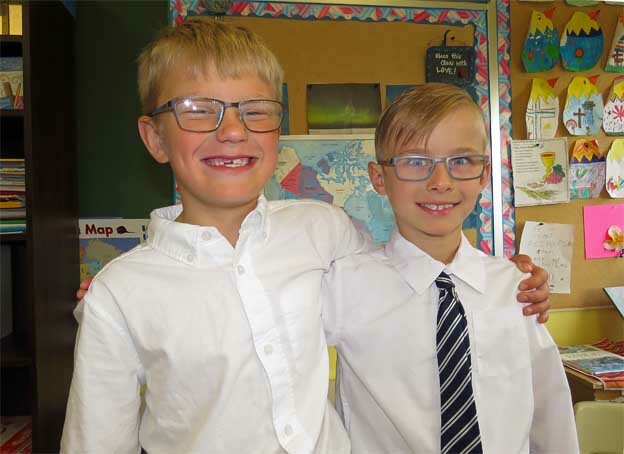 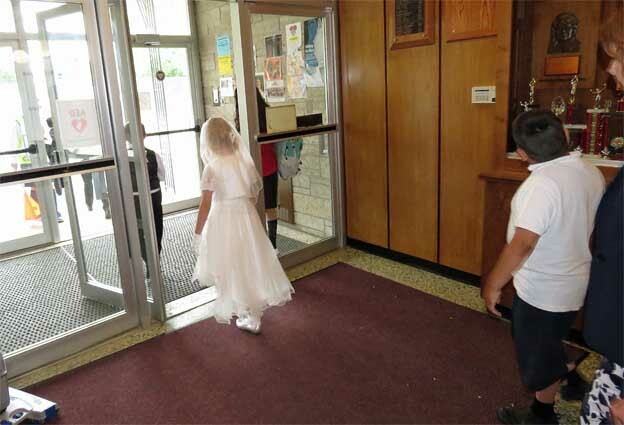 Every year by the end of May, all grade 2 students from IHMS have already received their first Sacrament of Reconciliation (confession) followed by their first Holy Communion at their respective parishes. 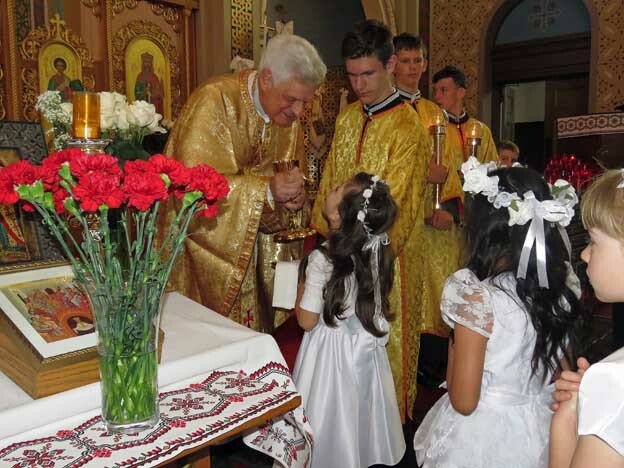 Each parish is a bit different in their timing, but they typically complete this important celebration sometime during the month of May. 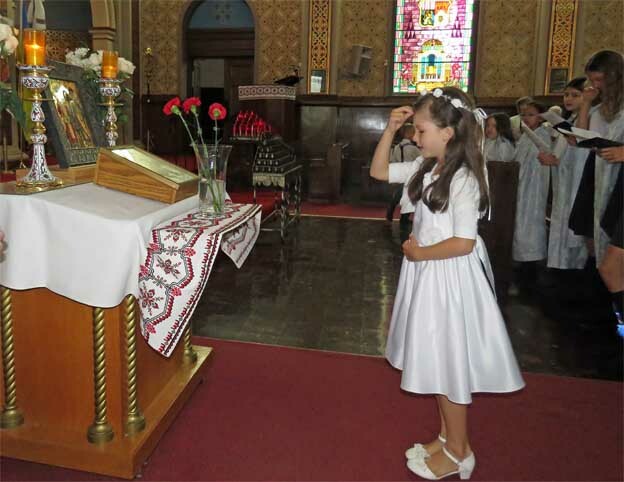 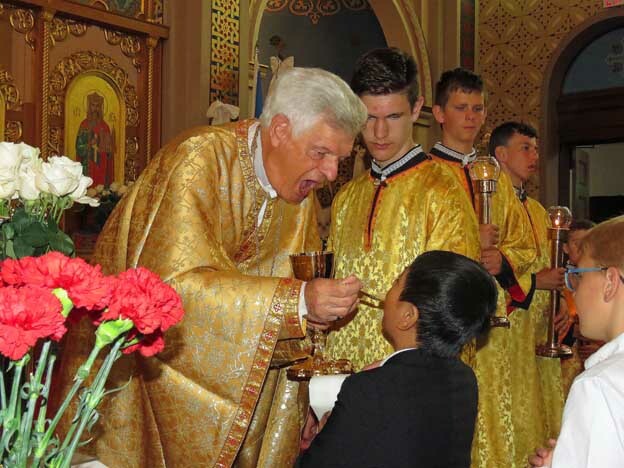 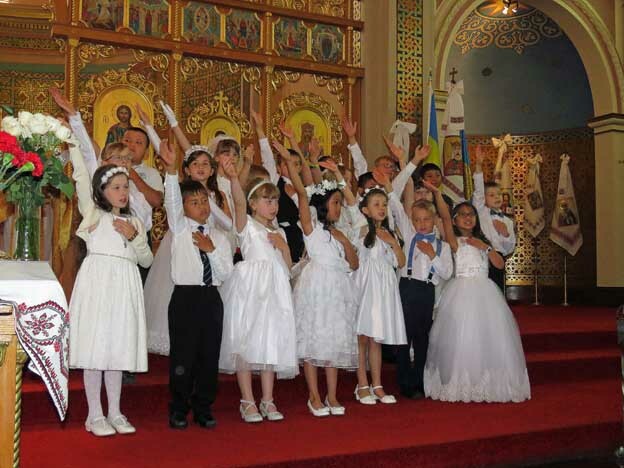 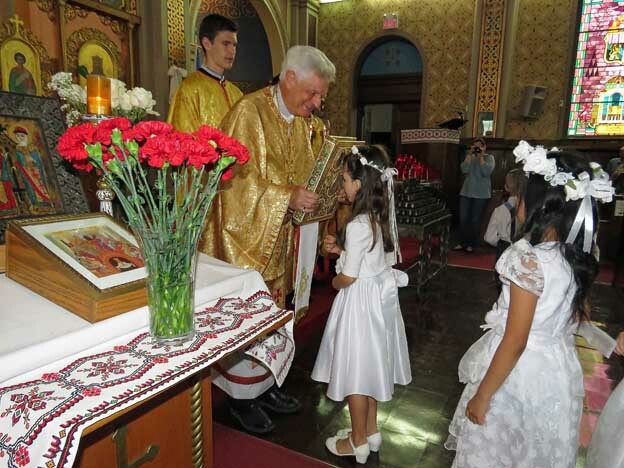 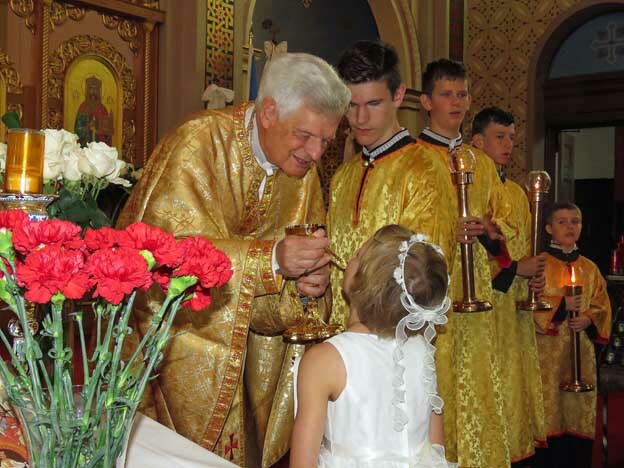 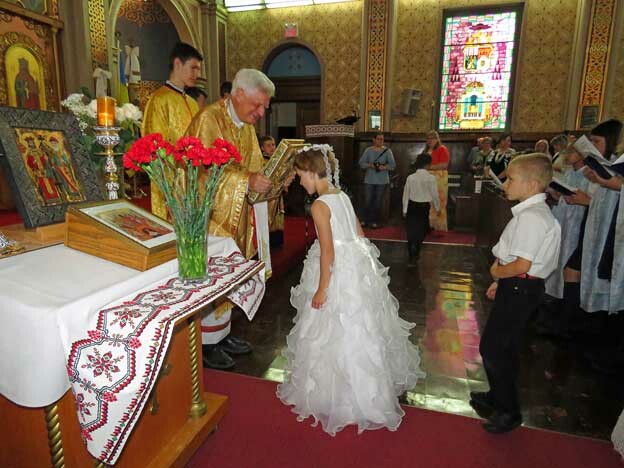 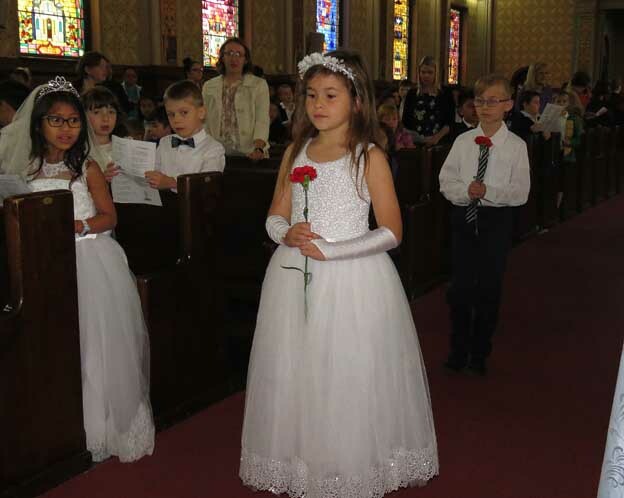 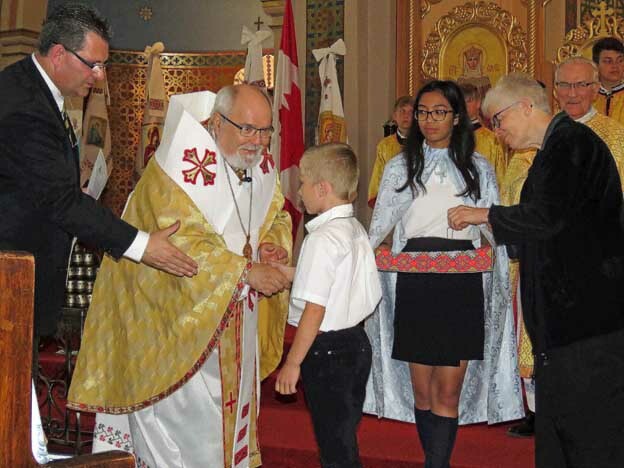 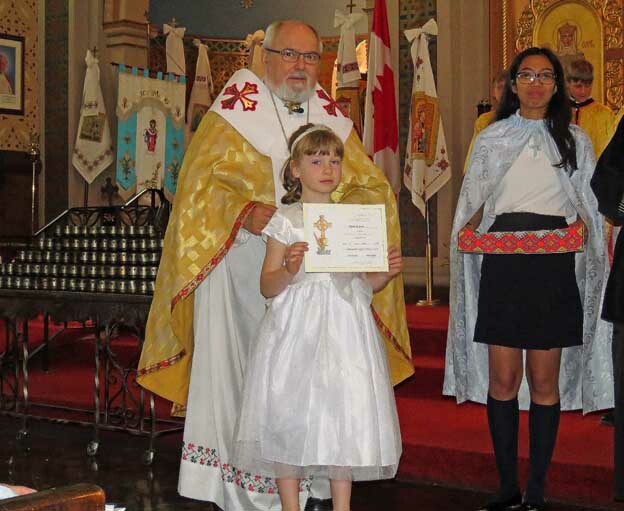 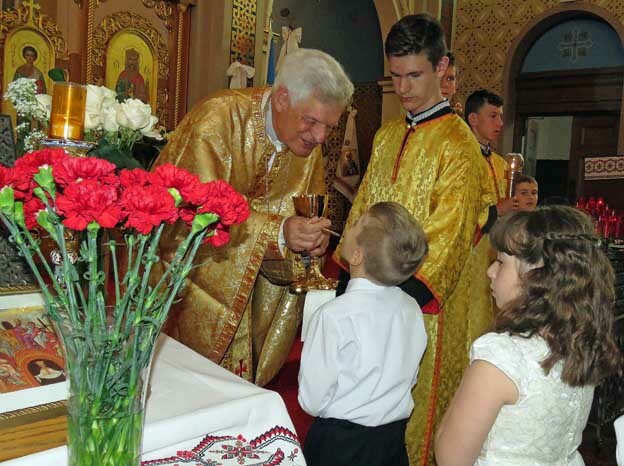 For most of the school year, only older students from grade 3-8 receive Holy Communion during the monthly Liturgies at Sts Vladimir and Olga Cathedral. 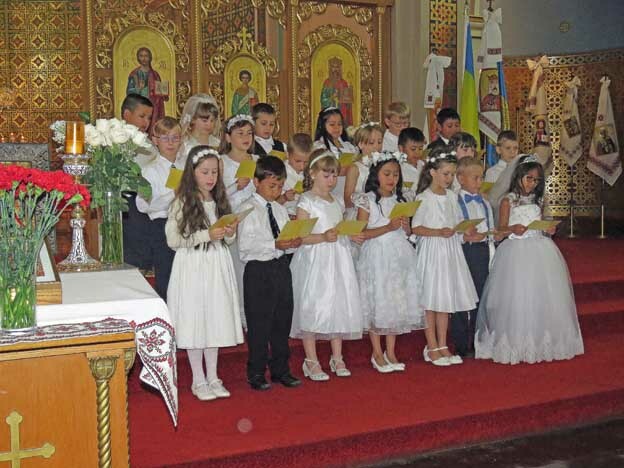 But the June Liturgy is always special for the grade 2’s, and on Tuesday, June 5. they received Holy Communion for the first time as a class! 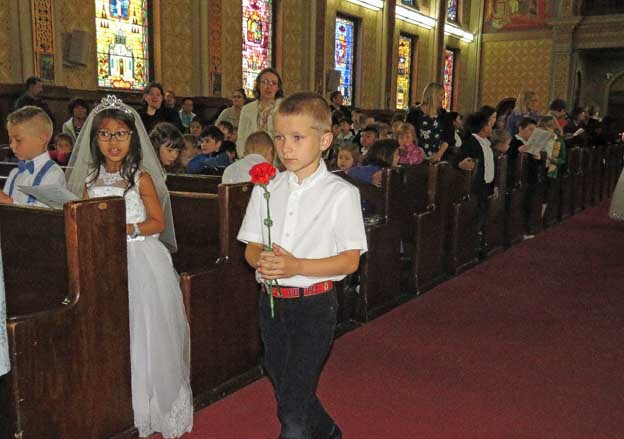 The Liturgy began at 9:00 a.m. in the Cathedral as a large group of proud parents and relatives watched their children pass another important milestone in their lives. 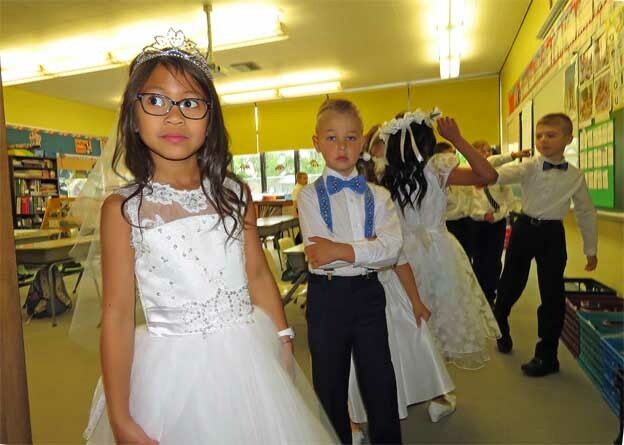 Most of the boys dressed in a white shirt and dress pants, while the girls looked beautiful in their white dresses. 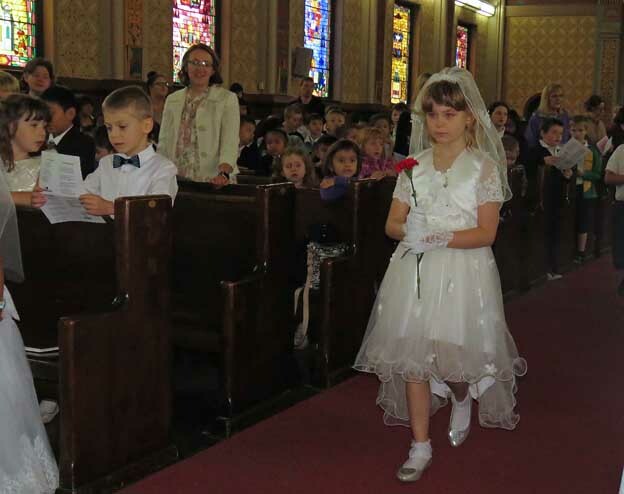 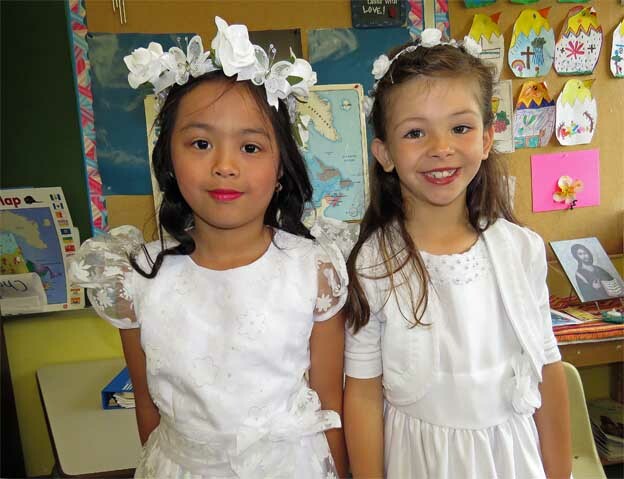 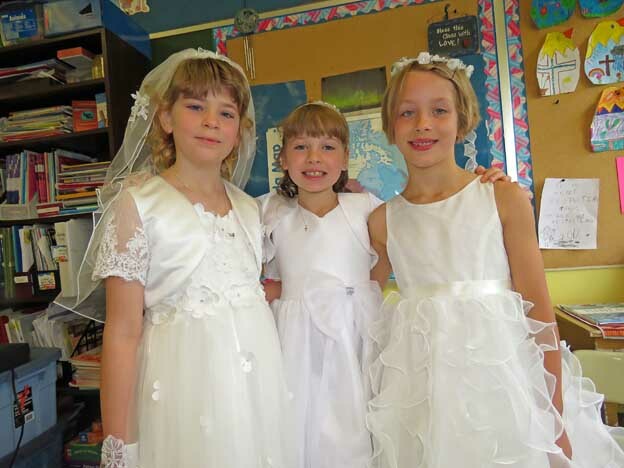 Since the grade 2 class was responsible for organizing the Liturgy, Miss Lutyj spent weeks preparing her students for their big day. 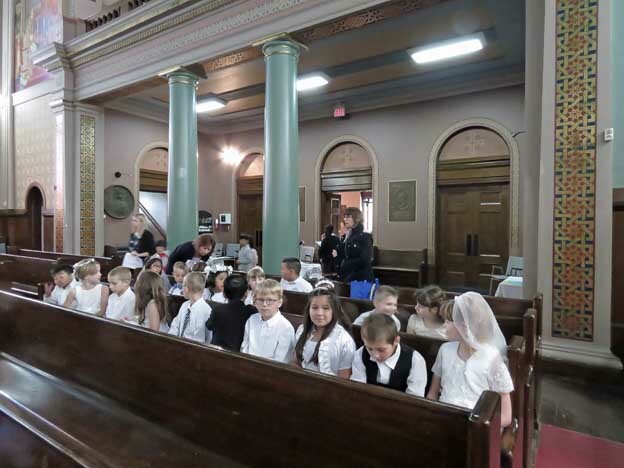 The entire class read the Epistle while two preselected students (Markian S. and Mackenzie M.) read the grade 2 class intention. 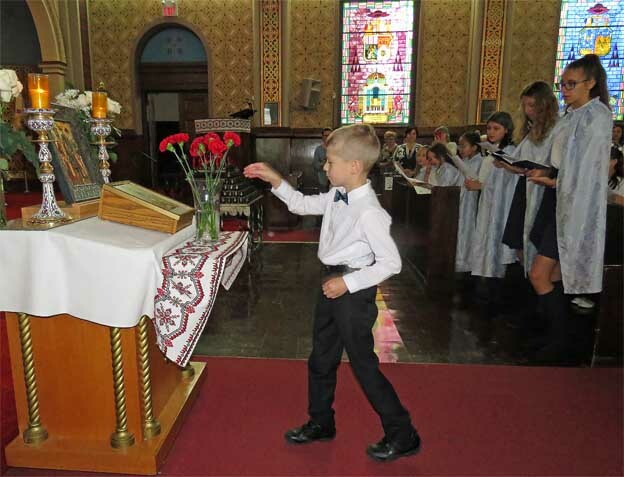 Near the end of Liturgy, each student was presented with a cross necklace and a certificate by Sr. Ruth Aney, SSMI. 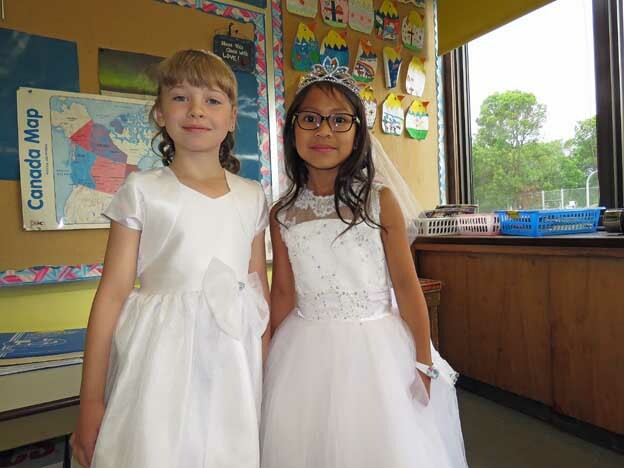 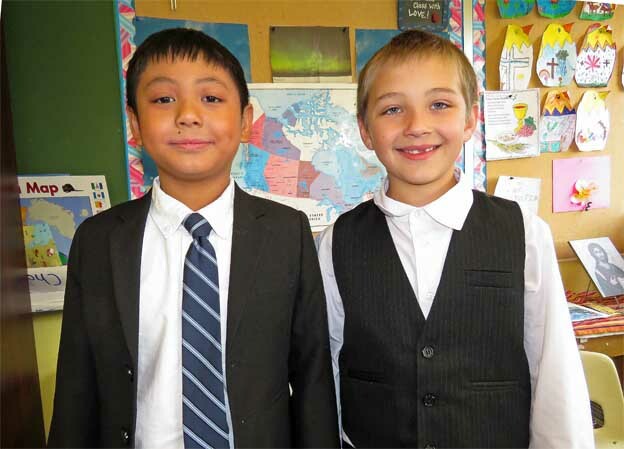 It was an exciting and memorable morning for everyone at IHMS, especially for the grade 2’s. 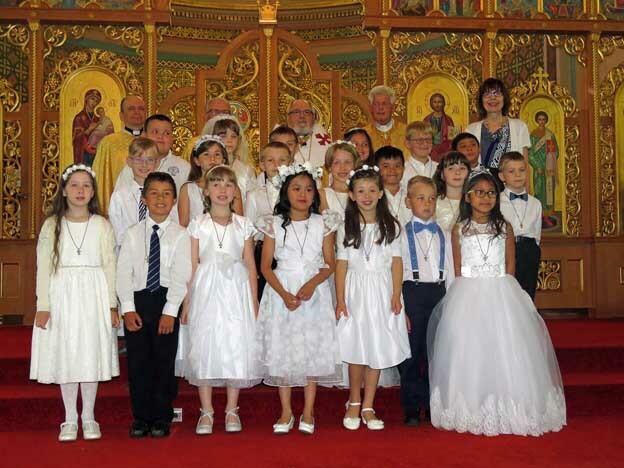 At the end of the Liturgy, Miss Lutyj and her proud students stayed behind and posed for group and individual pictures before heading back to the school.